In April, I started reading The Girls, by Lori Lansens. I’ve had it on my list for a long time, as I found the premise so intriguing – the story of two conjoined twin sisters. And I read another Lansens book, The Wife’s Tale earlier this spring, which I enjoyed. I wasn’t crazy about the ending of The Wife’s Tale, but I loved Lansens’ writing. The Girls is about Rose and Ruby Darlen, craniopagus twins born in Ontario during a tornado. They are connected at the side of their heads, which means they live their whole lives without ever looking into each other’s eyes. They share a common blood supply and cerebral tissue, and therefore cannot ever be separated. 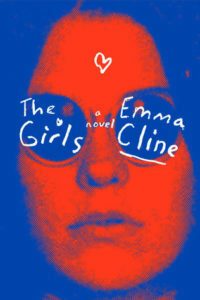 The Girls is Rose’s autobiography, which she undertakes as her health starts failing in her late 20s. Ruby writes interspersed chapters throughout the book which offer the reader some perspective on how the two sisters are different, and how they often interpret the same events in different ways. Like many people, I’m sure, I find conjoined twins fascinating. How do they form their own identities – and live their own lives – when they are always connected to another person? As a pair, how do they negotiate individual desires, tastes, and aspirations? Rose and Ruby have their differences, from the mundane (Ruby hates spicy food, Rose sleeps much less than Ruby) to the intrinsic (Rose is private and contemplative while Ruby is direct and open). The Girls explores how they manage to accommodate and challenge each other, while at the same time being completely dependent on each other. Ultimately, The Girls is a pretty sad book. Rose and Ruby’s lives are difficult from the start, and not just because of their physical situation. Their mother abandons them at birth. And while they are raised in a loving household, they do experience great loss and heartbreak. I have great admiration for Lansens’ writing, which is elegant, descriptive, and economical. (I think her writing is even better in The Wife’s Tale, though I prefer the richness of the story of The Girls.) Lansens is a master at creating characters who are dignified and sympathetic, despite their predicaments (and regardless of whether their predicaments are of their own making). Her depiction of people facing physical challenges – whether obesity or conjoined twindom – is especially powerful. I am glad that I finally finished The Girls – it was worth the wait and survived the long delay. I’d love to hear from other people who have read it – what did you think? I apologize for the lapse in posting – I am on vacation. I have been in NY for Passover this past weekend and today, and tomorrow I leave for Florida for a few days. I am hoping for a few mellow days in the sun, some time with my family, and some time to read! I would like to finish (finally!) You Couldn't Forget Me If You Tried, Susannah Gora's excellent book about the teen movies of the 80s (I am in the "Some Kind Of Wonderful" chapter). I also brought Penelope Lively's latest novel, Family Album, which I picked up at a used book sale last weekend. I've had my eye on it for a while, and am about a chapter in. So far, so good. Lively is one of those writers I keep wanting to read, and keep buying, but just haven't gotten to yet. I am also hoping to finish my fourth book for Booking Mama's Shelf Discovery Book Challenge (I brought Starring Sally J. Freedman As Herself, by Judy Blume). And if I read ALL of those, I ALSO brought Lori Lansens' The Girls, another book that keeps dropping down the TBR list. I loved her writing in The Wife's Tale, so I am really looking forward to this one too. So that's the reading plan. Check out this article about Lionel Shriver in last Friday's Washington Post. She touches on a lot of the same topics as during her reading at Politics & Prose. Has anyone read The Ask, by Sam Lipsyte, yet? Is it as good as everyone says? Conjoined twins Rose and Ruby Darlen are linked at the side of the head, with separate brains and bodies. Born in a small town outside Toronto in the midst of a tornado and abandoned by their unwed teenage mother two weeks later, the girls are cared for by Aunt Lovey, a nurse who refuses to see them as deformed or even disabled. She raises them in Leaford, Ontario, where, at age 29, Rose, the more verbal and bookish twin, begins writing their story—i.e., this novel, which begins, "I have never looked into my sister's eyes." Showing both linguistic skill and a gift for observation, Lansens's Rose evokes country life, including descriptions of corn and crows, and their neighbors Mrs. Merkel, who lost her only son in the tornado, and Frankie Foyle, who takes the twins' virginity. Rose shares her darkest memory (public humiliation during a visit to their Slovakian-born Uncle Stash's hometown) and her deepest regret, while Ruby, the prettier, more practical twin, who writes at her sister's insistence, offers critical details, such as what prompted Rose to write their life story. Through their alternating narratives, Lansens captures a contradictory longing for independence and togetherness that transcends the book's enormous conceit. I fell in love with these two extraordinary women and their story. Lansens did such an amazing job writing their two voices so distinctly different from one another, and I actually came to enjoy one twin more than the other, which was kind of interesting. There weren’t a lot of secondary characters in this novel (besides their “parents”, Aunt Lovey and Uncle Stash), but the ones that were there played an important part in the book and helped tie everything together. I’ve been meaning to read this book for so long now, and I’m very glad that I finally got to it. I can’t say it’s the best book I’ve read or anything, but it is a very sweet and heartwarming story with wonderful characters as well. I would definitely recommend picking this one up. Suzi Q at Blogging My Books read this book in 2007 and loved it. She said, "The individuality of Rose and Ruby is clear, and the places where they describe the same experiences with different viewpoints stress that. They even manage to keep some secrets from each other. The relationship between the sisters is fascinating and the book is just beautifully written." I know I say this about all the books on the TBR list, but I really want to read this one soon.